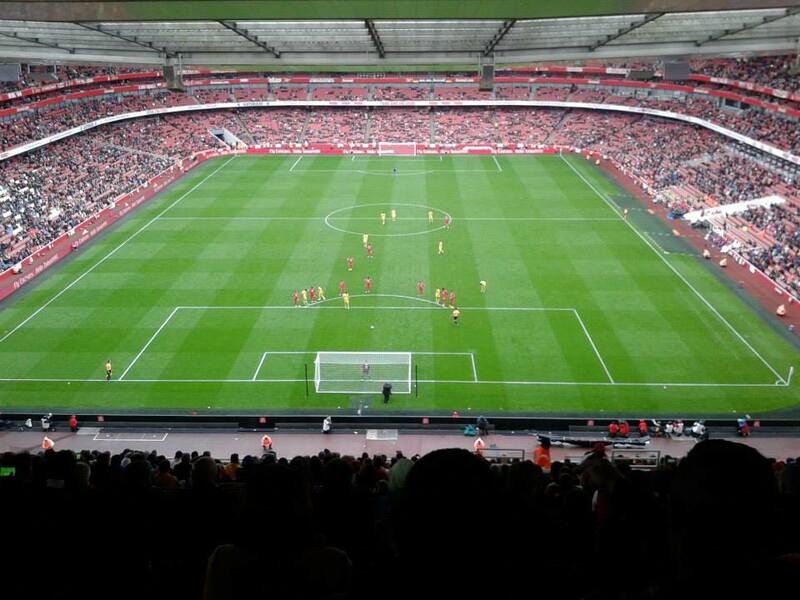 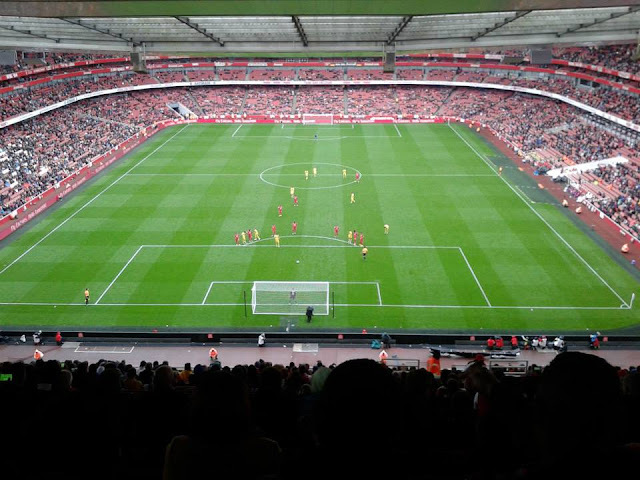 Last match I went to see: Emirates Cup 2015, Sunday 26th July 2015. 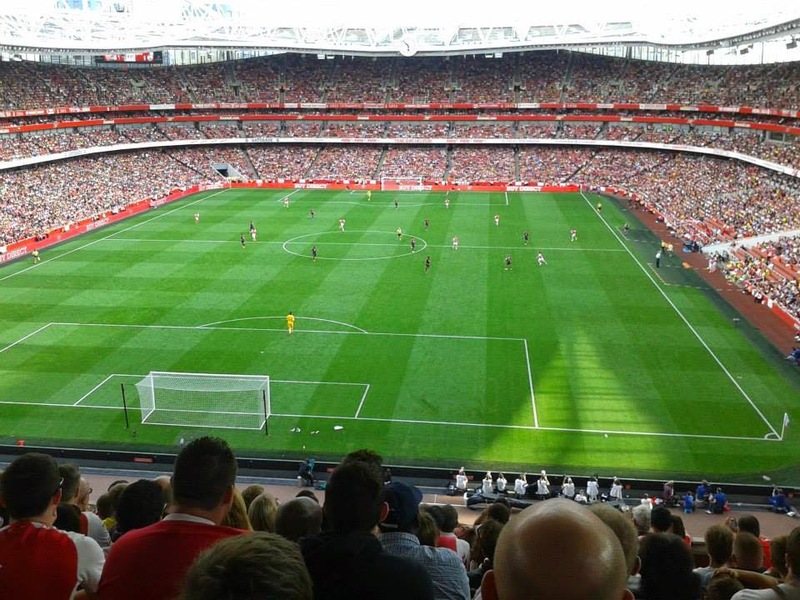 Arsenal were formed in 1886, they were known as Dial Square. 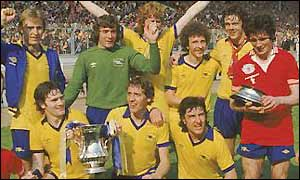 They were later known as Royal Arsenal then of course as otherwise known today as Arsenal. David Danskin born in 1863 was the founding member, and also the first captain at the Club. 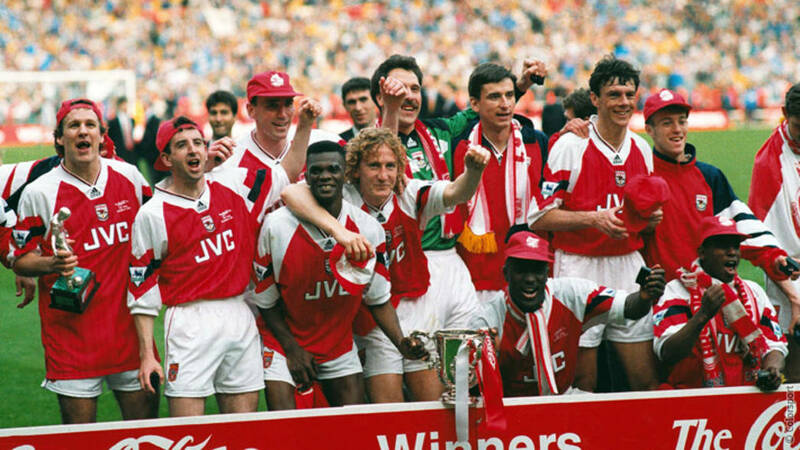 Arsenal were the first South of England side to join the Football League, back in 1893. Arsenal previously played at Highbury, from 1913 to 2006. 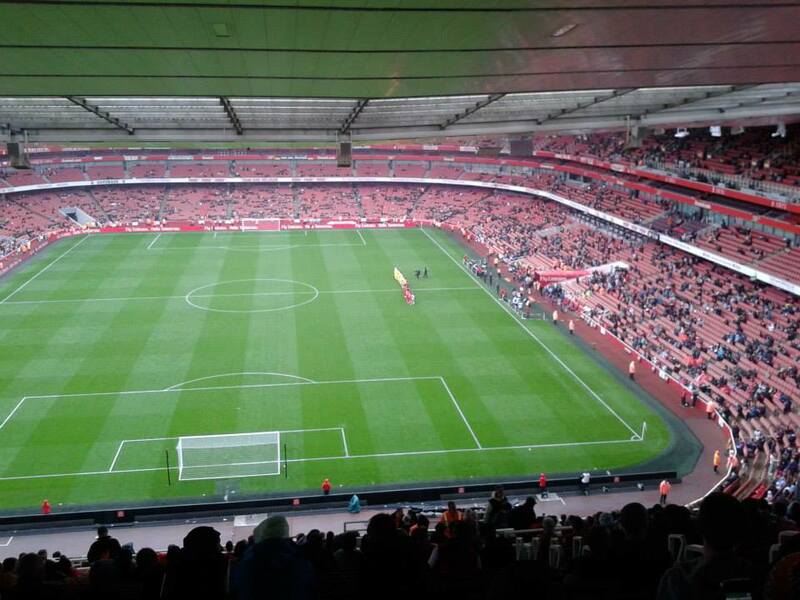 At the end, the ground held 38,000. 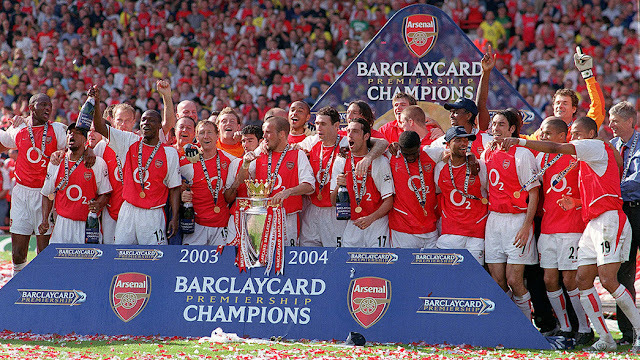 From 1998-2000, Arsenal played their Champions League games at Wembley. 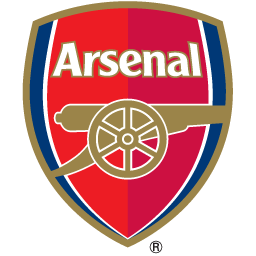 The club are nicknamed The Gunners, this is because Arsenal were founded in a Military, which is why Arsenal's badge features a Cannon. Arsenal are also known as The Invincibles, as they most famous went unbeaten through a whole season in the Premier League in 38 games. 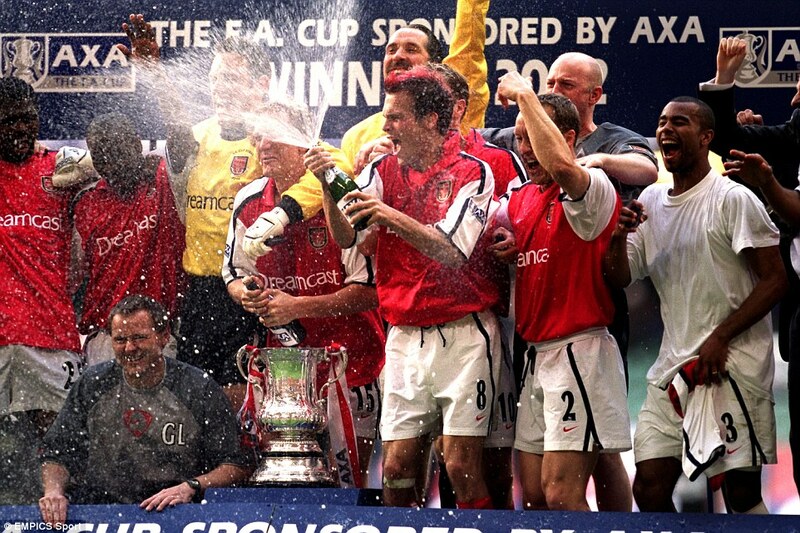 This happened in the 2003-04 season. 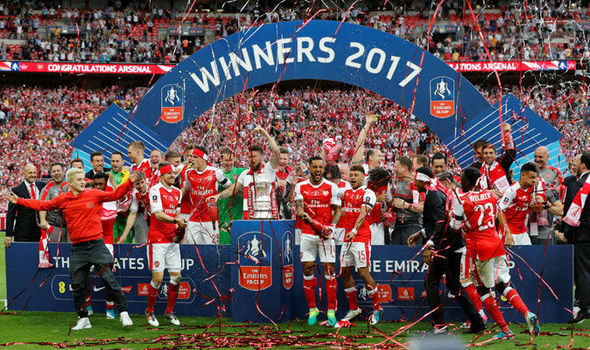 Arsene Wenger is the longest and current Arsenal manager. Since he took charge in 1996, he's won 3 Premier League titles, 7 FA Cups and 6 FA Community Shields. 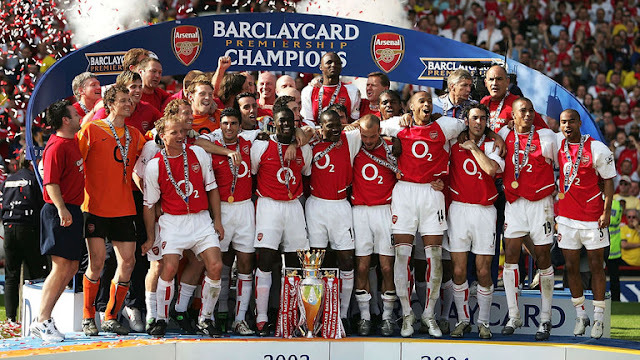 Arsenal have reached The Champions League Final in the past, back in 2006. 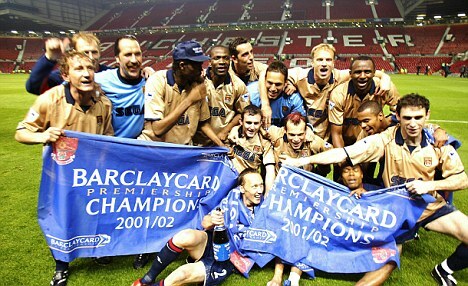 This is their only final they have been in, losing 2-1 to Barcelona in Stade de France, Paris. 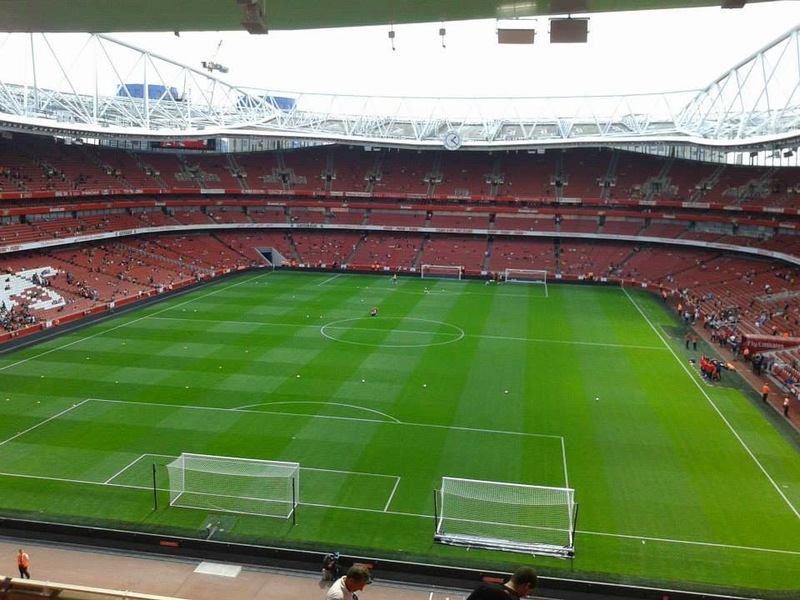 VISIT 1: Emirates Cup 2014, Arsenal vs Benfica & Valencia vs Monaco, 2/8/14. 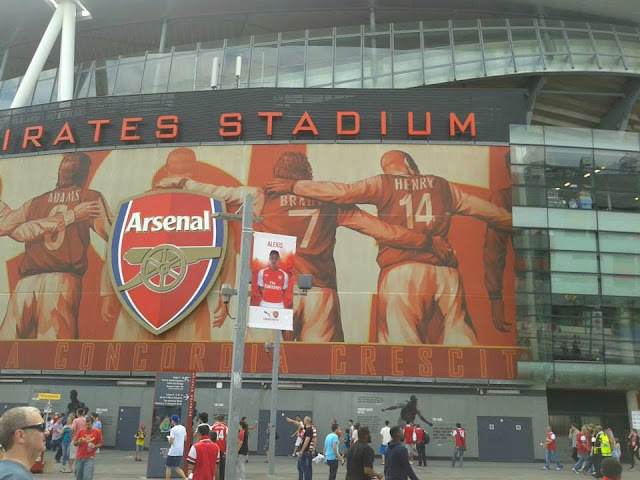 The Emirates Stadium is a lovely beautiful stadium to visit. 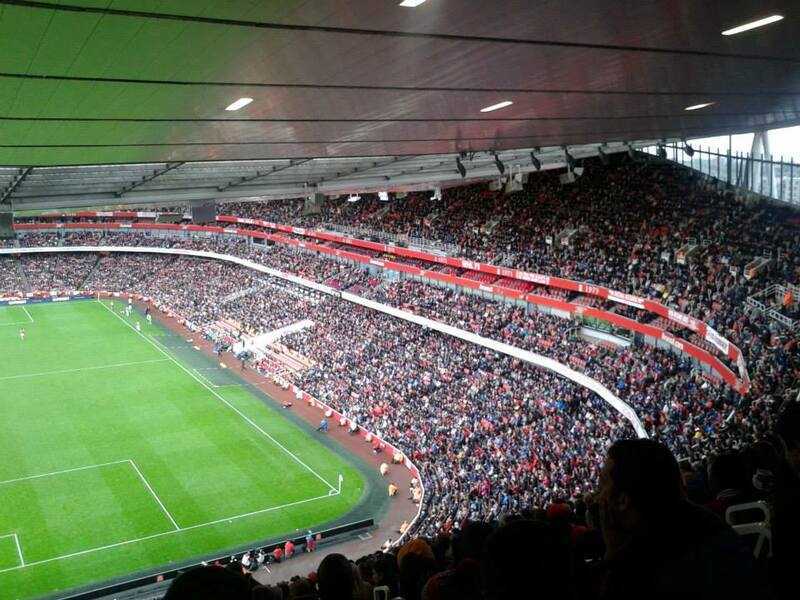 The ground holds just over 60,000. 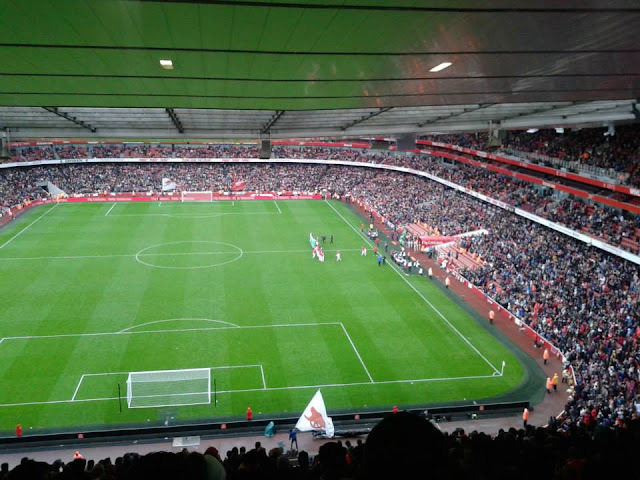 Away fans are usually allocated just under 3,000 tickets and are situated in the South East stand which is in the corner of the ground. 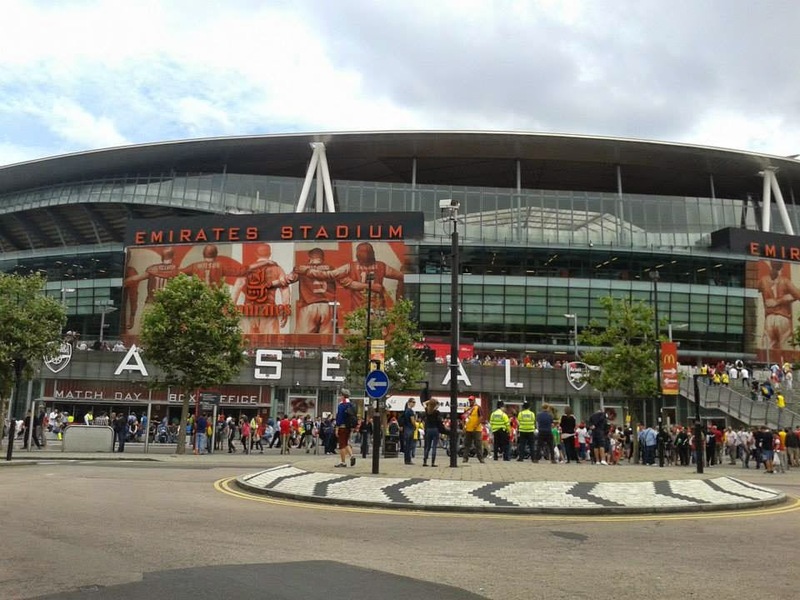 Tours of the Emirates are available, by calling on 020 7619 5000 or online on the Arsenal Official Website. 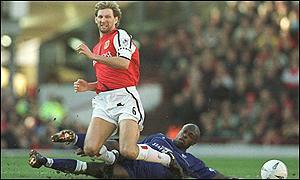 To get to the ground by tube or train, is Holloway Road on the Piccadilly line. That is only a few minutes walk, also Arsenal tube station which is only a few minutes walk to the ground as well. Main line rail, Finsbury Park is about a 10-15 minute walk to the ground, also The Emirates can be noticed on the right hand side whilst leaving King's Cross going north. 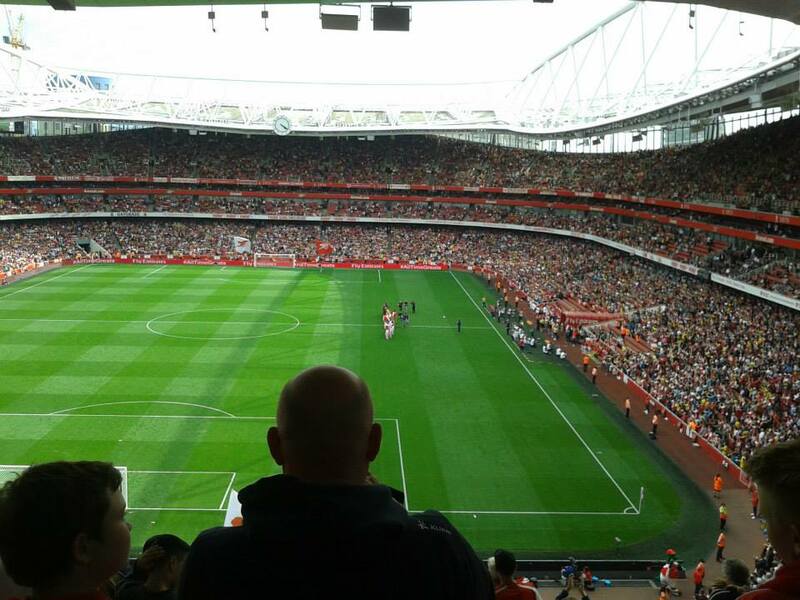 My first visit to The Emirates came about in the Summer of 2014 when Hawko a mate of mine mentioned to me about going to The Emirates, so after seeing the prices to watch 2 games which included Arsenal vs Benfica and Monaco vs Valencia, couldn't turn down the opportunity to tick off The Emirates. 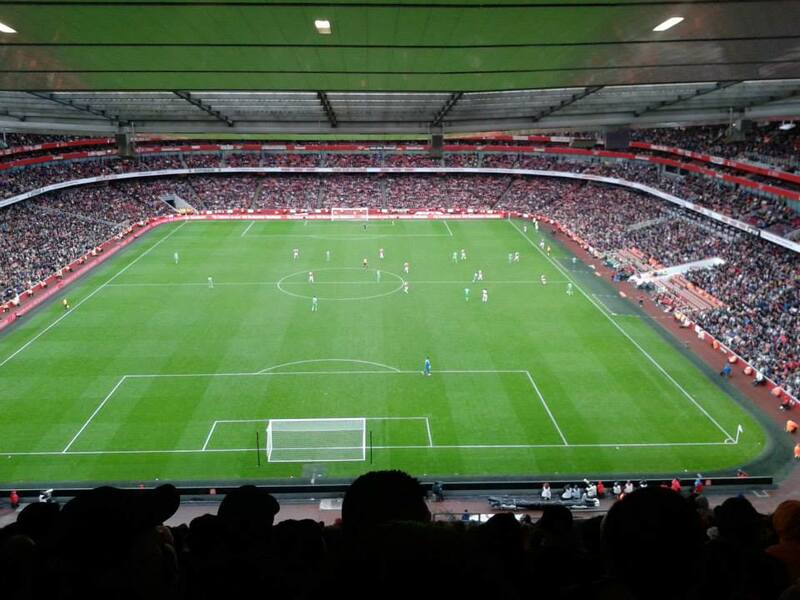 The price roughly as I can't remember exactly the price, but around £24 a ticket to see 2 games was pretty impressive. 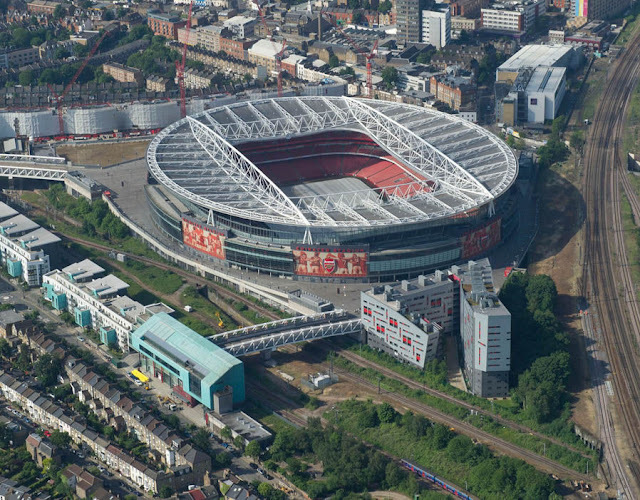 Before moving to The Emirates, Arsenal previously played at Highbury since 1913 and left there in 2006 to move to the brand new Emirates Stadium. Since my first visit I have been again, but my opinion on the Emirates was just wow. 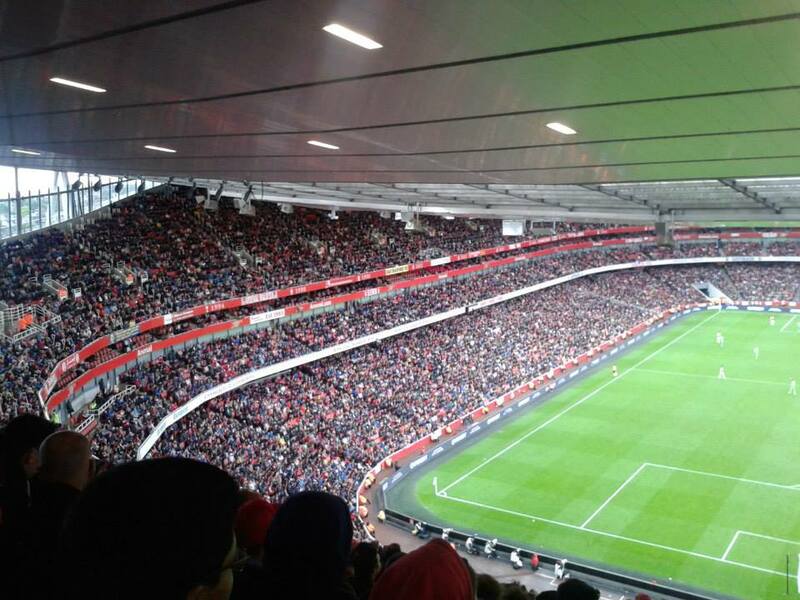 I wasn't surprised why they moved, after getting crowds of 38,000 at Highbury, the capacity has doubled since watching Arsenal. 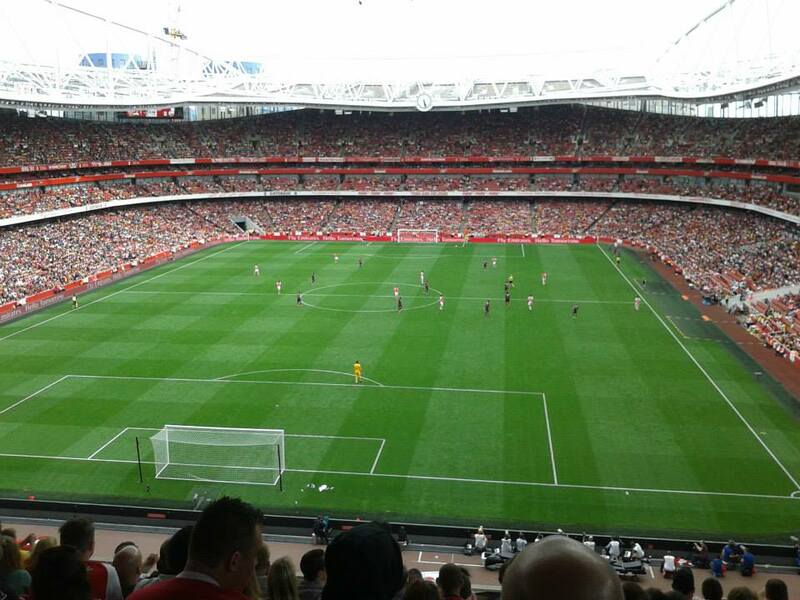 A really lovely ground to watch football, would easily recommend it. 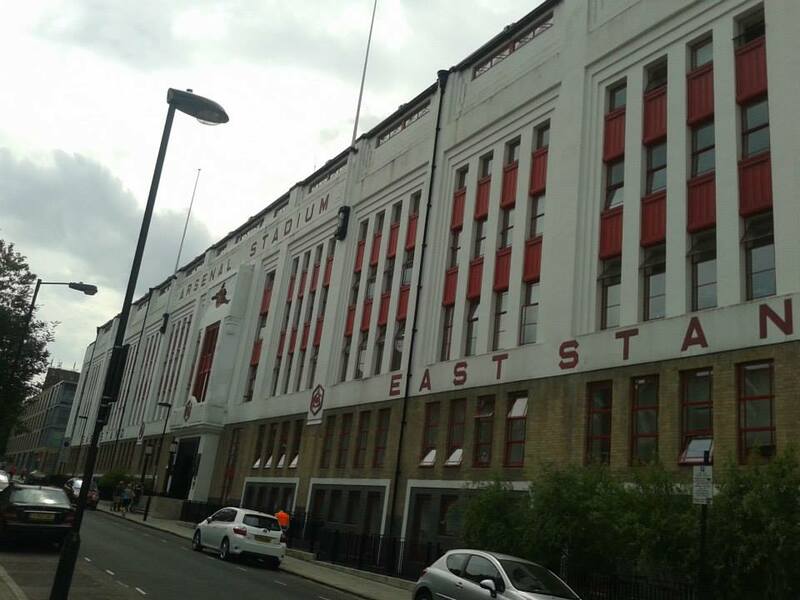 Highbury, the former home of Arsenal. Now an apartment complex.